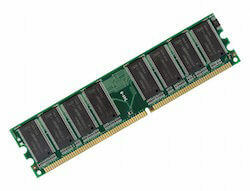 RAM or Random Access Memory is the primary memory unit in a computer workstation, whether desktop, laptop or mobile device. It's faster than your 2TB hard drive because it has no moving parts and can works faster than any other memory since it's just electronic circuitry navigating electrical signals. That is why your processor works alongside RAM and not total space shown on the drives in “My Computer”. All of this boils down to making data available for the processor before it starts working on it, so that once it does, it has what it needs and doesn't need to wait. Because the processor's time is the most important resource (it can't be blank, theoretically), the part that RAM plays is the most important in a computer. When you click the right mouse button and the context menu pops up, it does so almost instantly because the RAM contains the context menu not your hard disk (that would take a few seconds which would be a life time in terms of a processor's capability). So read on to find out whats the best RAM for CAD. The first thing to think about whether putting together a workstation from scratch or upgrading is how much RAM is needed. A bit of foresight here would seem too much but can be pretty helpful in many CAD related circumstances. The foresight is the number of memory slots where you can stick the RAM. Let's talk about both. For any version of Windows a mere 4GB is needed. Mac's graphics should be left to 8GB. The reason why I'm stating such large margins is to account for an OS upgrade. On top of this, for AutoCAD or similarly resource-consuming software an additional 4GB is the least required, 8GB is recommended. This last statement makes the assumption that you will have your CAD editor and nothing else of substantial use open when using your CAD software. After this select the number according to 8GB, 16GB, 24GB or 32GB. Now the memory modules. According to research, a multi core processor running multi-threaded programs will benefit from the total memory distributed amongst all the slots available. For single core processors, the opposite will be true. In either case (or if you don't know these details, which is no case at all) breaking up the total over a maximum of four slots (remember some motherboards have 16 slots) should be enough. What about RAM speed? ECC over non-ECC RAM? Moving on, the speed of the RAM is not much to think about because the version, the DDR3 is available from 1333Mhz till 3000Mhz and can also be bought with a special embedded feature known as the ECC, which we'll discuss later. DDR stands for Double Data Rate and was the next step after SDR where the S was for single. Also these DDR RAM stick into DIMMs (Dual Inline Memory Module) not SIMMs, which should not be a problem with any modern day motherboard. ECC on the other hand is something that you do need to think about. Error Correcting Code allows your RAM to detect single bit errors and prevent their execution, possibly their existence. Many Intel Xeon processors come with ECC so if the cost is not a disadvantage always go for ECC RAM as lesser expensive, non-ECC RAM will leave you prone to the blue screen of death as well applications abruptly closing while running successfully a second time. CAD applications cannot afford such hindrances and it has been reported that once such an error is encountered there is a significant chance of them occurring again. Check out below for the best RAM for CAD workstations and software. Hopefully, these will help you make a decision. 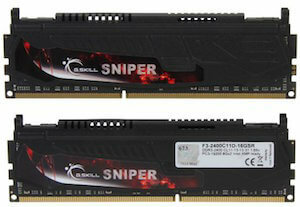 Now, first up for review is the G-Skill Sniper series model F3-14900CL9D-8GBSR. As the name says its 16GB, also available in 8GB. This model is specifically for desktops a 240-pin DDR3 SDRAM assembly. The speed is 2400Mhz without ECC using up a voltage of 1.2V. Its an unbuffered RAM meant for extreme performance and premium grade processing of graphical and visual data, animated or still. It's most compatible with any of Intel's 2nd/3rd generation of processors and even the AMD Llano/AM3+ platform. With the XMP profile the RAM has been reviewed by users to clock in at exactly 2400Mhz. One problem noted is the design of the RAM, even though it looks like a super-cool Hollywood dagger, the bulk of the size tends to push each other when inserted into the slots. This would be a problem for more than two DIMMs placed side by side but the chances of that happening depend on the motherboard you buy. Next up, is the industry leader Kingston with its latest innovation, the claim to have created the DDR4 RAM. DDR3 single module density was a maximum of 8GB, with DDR4 its 16GB. Hence a single DIMM offers more memory. Data rates have tested to peak at 3200Mbps which is almost double the limits of DDR3. Lower voltage consumption, bank groups for internal banks and expanded assembly for read and write allow larger sets of data to get accessed in the same request. Pin configurations are maxed out to 288 and accompanying the ECC, CRC, parity error checking and GDM are all included by default. 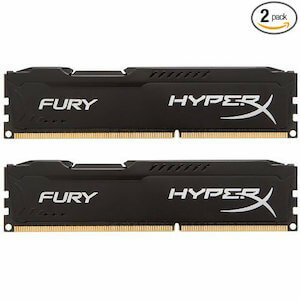 If you can afford the motherboard that offers such DIMMs and supports such RAM then you can definitely afford this RAM. And you should get it. 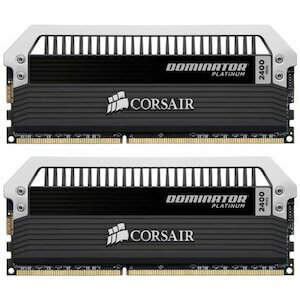 Last, for the sake of a decision-making comparison, for a review is the Dominator Platinum Series DDR4 RAM available in 16GB (2×8) sticks by Corsair. They clock in at 3200Mbps and have most of the same features as described for the DDR4 above. With a C14 memory kit, a 2x8GB set is available as a single DIMM installation giving you 16GB to fill up as you wish. It's been listed as best for extreme gaming and processor intensive and the stats on the website show pretty promising results. What do I think and whats next to come in RAM technology? In the end, if I ever to buy the best RAM for CAD, I'd definitely go for Kingston. Not only have they proved their worth with their history they have set new standards in the memory sector of the industry. From flash cards to NAND SSD, Kingston even has an online tool that allows you to choose your system configuration so as to present you with its best product. Way to go! Just to share what's in stored in the coming days. Corsair's Dominator GT with DHX Pro Connector is a single stick with 32GB of space available in dual and quad channels. It's DDR3 clocking in at 2400Mhz.